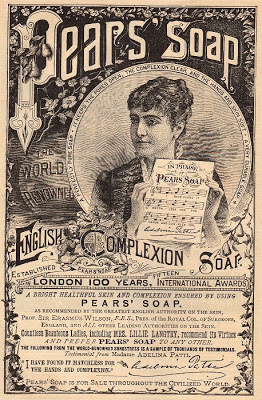 This is a gorgeous Pear’s Soap advertisment from 1887. 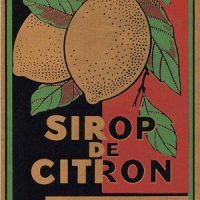 This is such a wonderfully ornate piece of ephemera. There is so much here to catch the eye including, gorgeous fonts, two little Pears, a beautiful woman, a pretty piece of tiny sheet music, floral engravings and even a teeny tiny lion. A wonderful piece for you to use in your craft or collage projects! I love this ad!! All of the detail is great. Stunning ad, I can certainly use this. Thank you. I have this full sized poster that seems to be the authentic ad. Wow Daniel that is fantastic! !